Top quality black on black saddle shoe from Baby Deer. Black buck suede with textured black saddle. 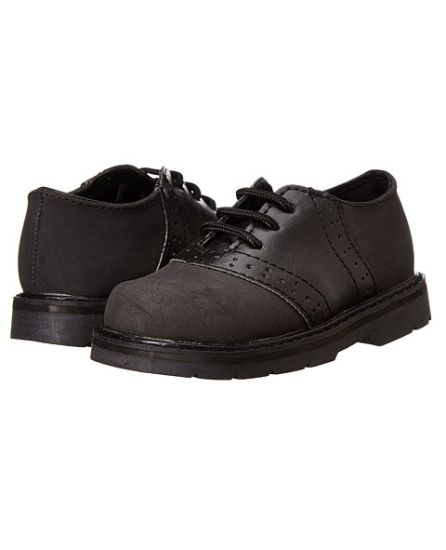 Faux leather upper oxford. Hard sole, lace up provides durable construction and flexible support for active toddlers. Cushioned insole. Each size has extra toe room for growth. Size 3 fits ages 6 to 9 mo. Size 4 fits ages 9 to 12 months. Sz 5 fits 12 to 18 mo. Sz 6 fits first shoes in shoes sizes 2 - 7 as noted in the pull-down box. Size 9 fits ages 3 - 4 years and size 10 fits ages 4 - 4.5 or years approximately. 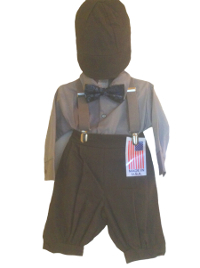 Your little gentleman will look perfectly polished with the Lace-up Oxford from Baby Deer®.